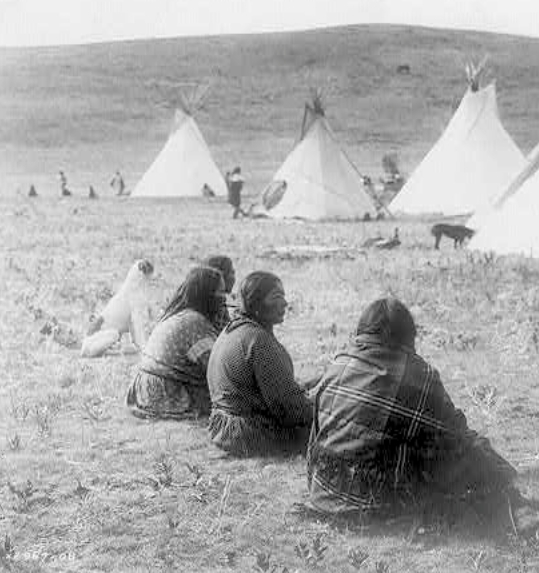 White Wolf : Dogs in the Early Americas: The unbreakable bond with Native Americans and Dogs. Dogs in the Early Americas: The unbreakable bond with Native Americans and Dogs. A few themes emerge from the details of the dog's lot in America. First and foremost, the dog was an ambiguous animal. 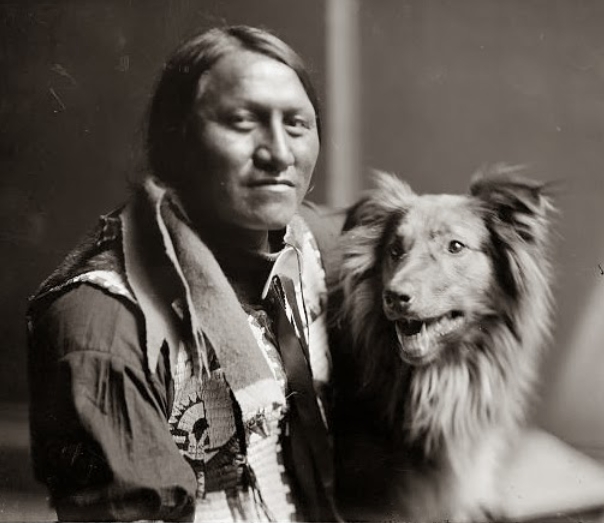 Native Americans understood that even though dogs resided in the human camp they had a close kinship with coyotes and wolves. 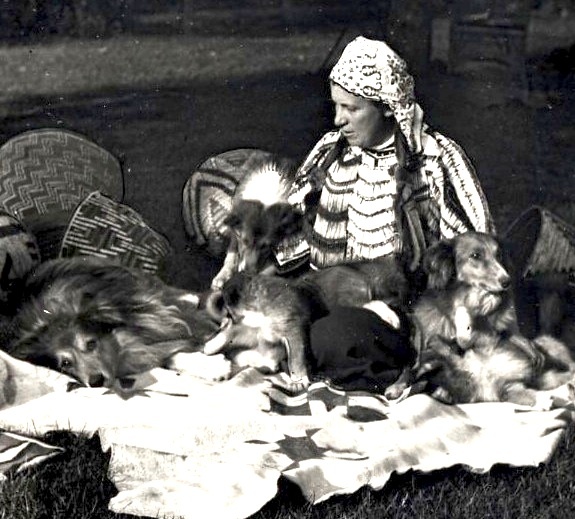 Because of these relationships, dogs occupied and operated on several levels: they connected the wild and the tame, and they joined nature and culture. Even though dogs were seen as almost human, they were also known to be carnivores and, as such, were linked not only to wolves, coyotes, and foxes but also to bears and jaguars. 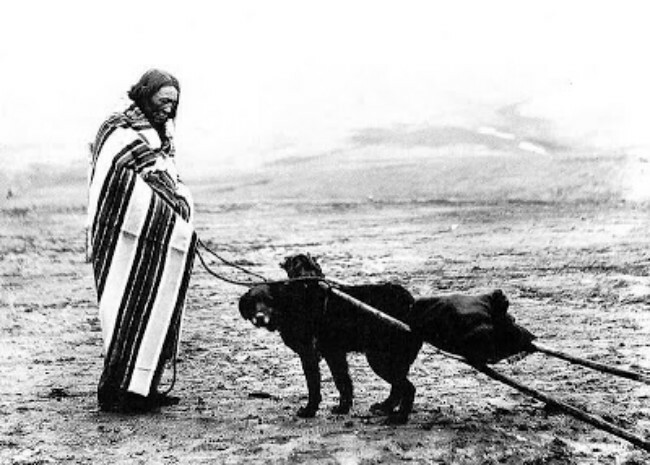 On the one hand, dogs were esteemed as companions, hunters, and guards. On the other hand, they were associated with promiscuity and filth. 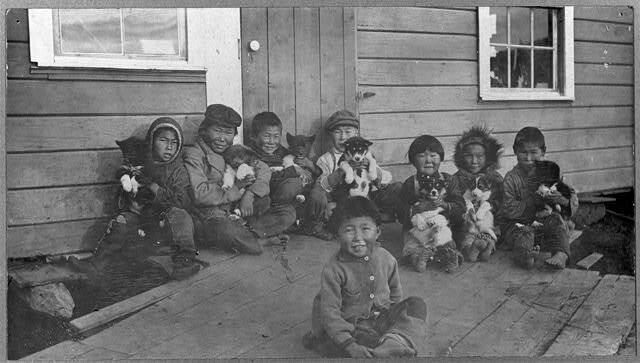 Among some groups, eating dogs was strictly taboo, whereas other groups ate them with great relish. 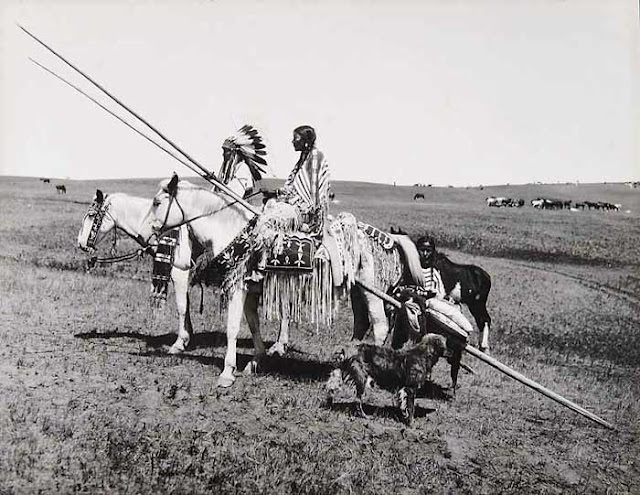 Some cultures relied on dogs for transportation and hauling. Others found them to be of no use at all. Dogs played key roles in the myths of some people; in other myths, dogs were scarcely mentioned. In addition, the numbers of dogs and their physical appearance varied widely from locality to locality and through time. 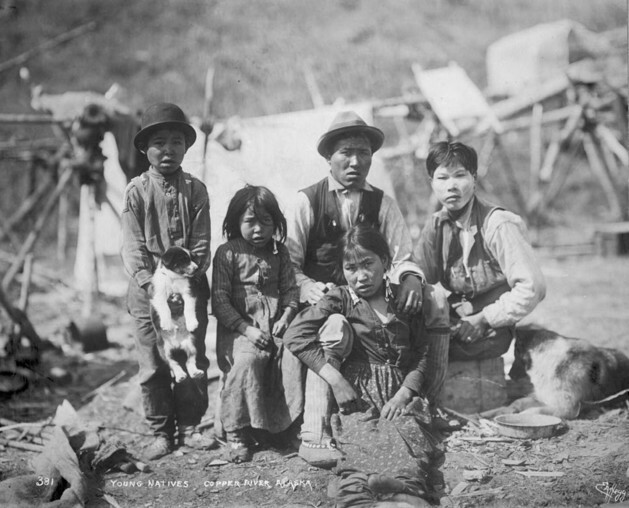 A young woman wearing earrings sits with four other youths and their dogs. Copper River, circa 1900-1927. The horse could carry five times more load than a dog, travel five times longer in a day and the horse only needed grass to feed on. 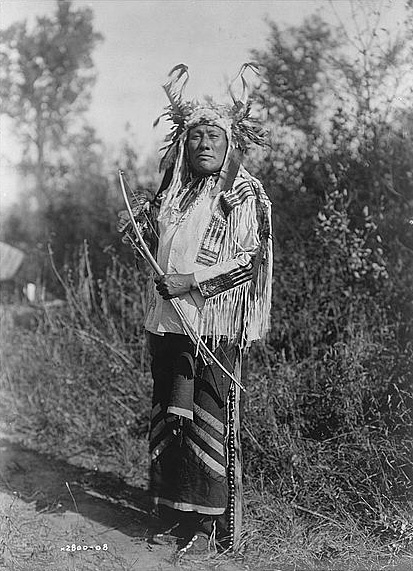 They called the horse šuŋkawakaŋ,”dog of miracle”. 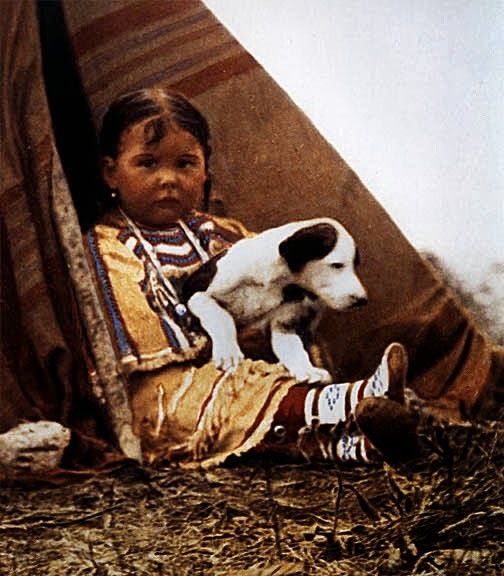 Pacific Northwest Native American child with puppy. A typical day's work for a dog. He's pulling a travois. Note that the dog is clothed as decoratively as the man. 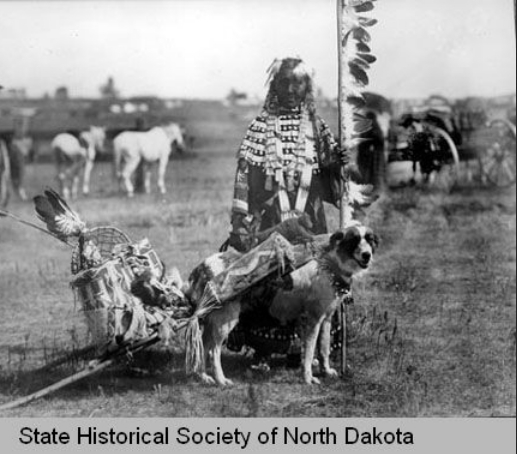 The Teton Dakota word for dog means horse of the woman. 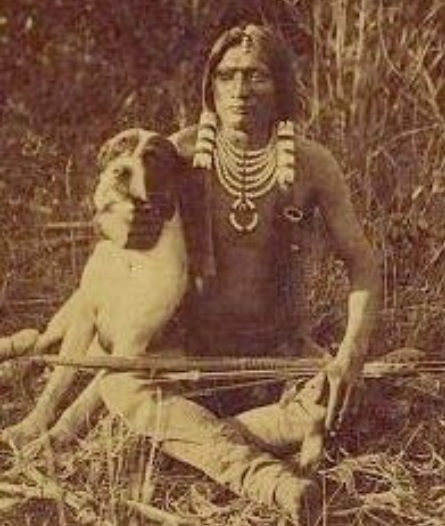 The Karankawa Indians of the Texas gulf coast called the dog a word that translates to kiss. Karankawa means dog lovers or dog raisers. 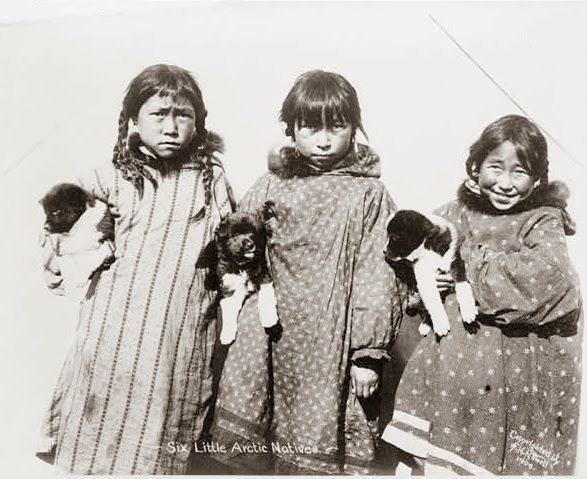 Three little arctic girls with three puppies. 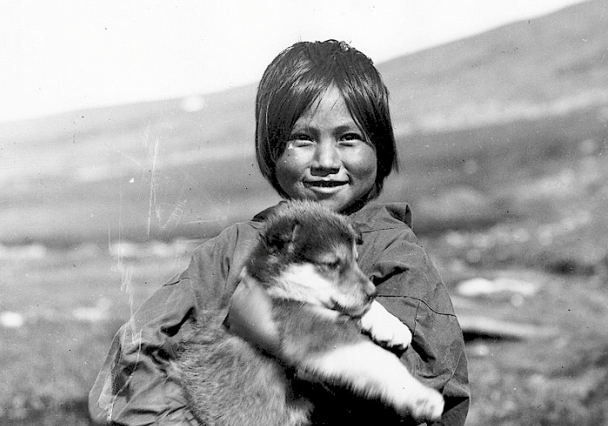 Responses to "Dogs in the Early Americas: The unbreakable bond with Native Americans and Dogs."